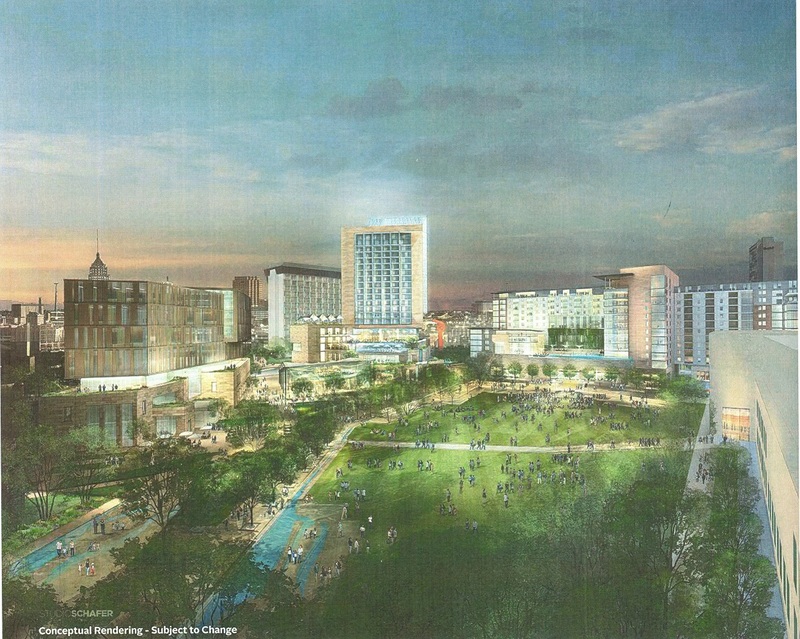 Below is an artist’s conception of one of the projects at San Antonio Hemisphere Park. 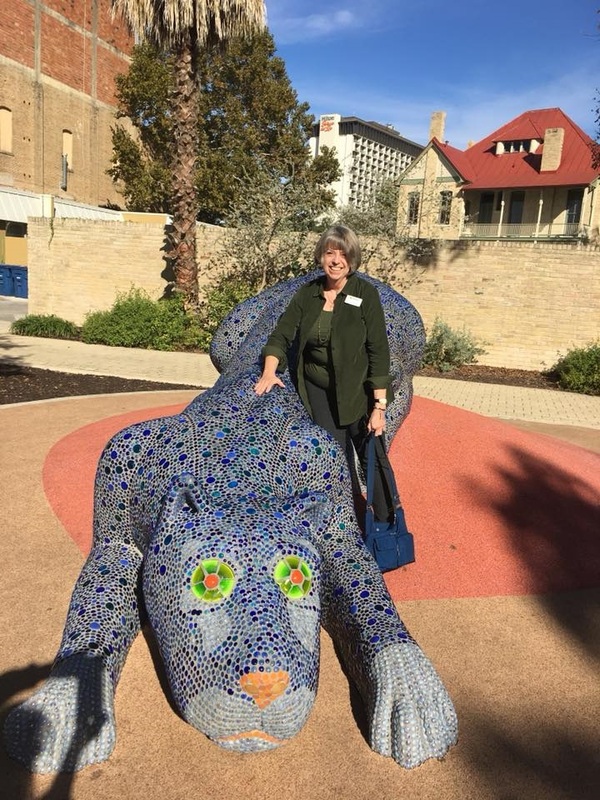 I had the opportunity to attend a presentation about the Hemisphere Project given by Anne Krause of the Hemisfair Conversancy. I came away very impressed. Anne told us that the designers were asked to attend Fiesta. This was to understand the character of our City. They experienced the importance San Antonio places on family-centered and community-centered activities. The plans include transferring mature trees into the park (some trees are already thriving after their transfer) and toe-dipping water features. Much of the work is funded by philanthropic contributions (which Anne indicated is already substantially more than the $20MM from the approved bond issue). Our tour started at the already completed Yanaguana Park which was a delight to us 30 adults—we spilled out of the bus and immediately started climbing on the equipment. The park is designed for all ages of children and youth with interests ranging from the active to the more cerebral. From “monkey bars” to building with the “tinker toy” blocks as big as a toddler to a “pick up game” of chess. There are even outdoor movies in the summer. Artist’s conception of one of the parks in the Hemisphere Project. The plans are still evolving, but this will give one an idea what to expect. At Yanaguana Park. A leopard crouches to spring upon a cormorant (from the Yanaguana creation story).